Amazon rainforest is the World largest rainforest, located in South America. 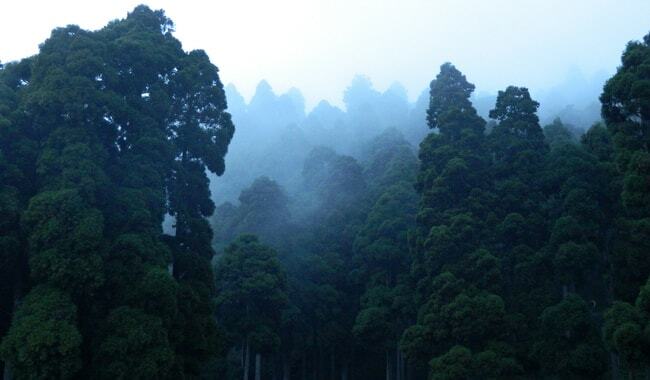 In fact, it comprises of more than half of world tropical rainforest. They produce about 20% of the oxygen of the world so earned nickname Lungs of Earth (remember produced carbon dioxide as well at the same time). Most of it lies in Brazil but it is expanding in nine countries overall. Brazil contains 60% of it, 13% on Colombia, Venezuela contains 10% whereas remaining 17% comes under the borders of Surinam, Guyana, French Guyana (France largest overseas territory), Bolivia, Peru and Ecuador. Its area is about 5.5 million square kilometers, this is about double of the area of world 8th largest country Argentina. It is so large that if Amazon rainforest was a country it would be the 7th largest country in the world. It covers more than 70% of Amazon River basin, the largest river basin in the world. Macau is the largest bird in Amazon, in fact, largest in the world. Toucan is the loudest living being in Amazon rainforest, with having voice range about half a mile radius. It is estimated that Amazon rainforest contains about 390 billion trees. Sumaumeira is the tallest tree in the Amazon rainforest, can grow up to heights of 70 meters. Brazil Nut, Lupuna, Brazilian Mahogany and Ficus are some of other famed largest trees in Amazon rainforest. Amazon trees can be 1000 or more years old. In 1500, just before the Portuguese came here the Amazon indigenous population was consist of minimum 8 million Amazon natives. The current estimate of native population is 400,000. There are approximately 170 different languages spoken by the Amazon natives. There are about 500 remaining indigenous tribes in Amazon and about 170 different languages they speak. More than half (about) of the uncontacted tribes (tribes that live in primitive ways and have no contact with the civilized world at all) live in the interior of the Amazon. 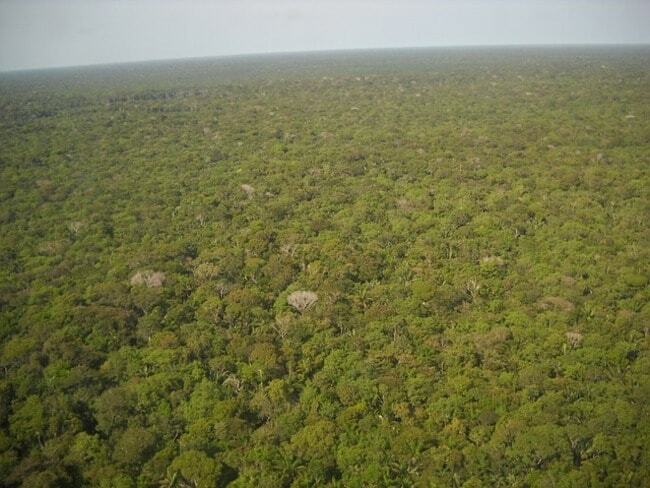 The canopy (roof layer) of Amazon rainforest is so dense that a drop of rain took 10 minutes to reach the forest floor. 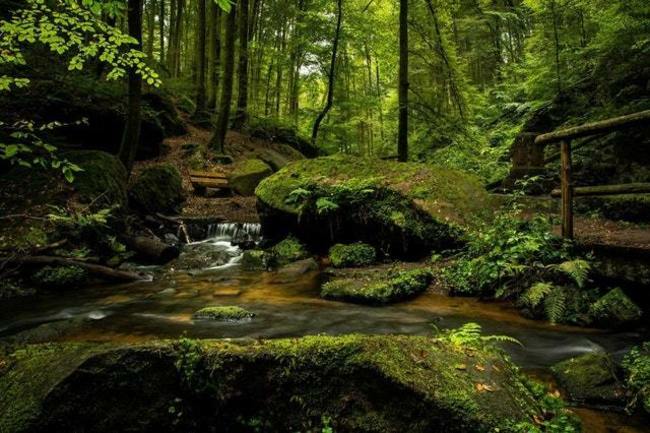 Forest floor is quite dark, as due to dense canopy it hardly receives 1-2% sunlight. The Manaus city (Brazil) is located deep in the Amazon rainforest, with 1.9 million population it is the largest city in Amazon rainforest. It is capital of Brazil largest state Amazonia, half of the state population lives in the city. Peru city Iquitos is the largest city in the world inaccessible by road. Its population is about 400,000 and like Manaus, it is located in the interior of Amazon rainforest. About 25% of medicines have Amazon ingredients in them while hardly mere 10% plants species have tested for medication so far. As per some recent advanced studies dust particles from Sahara desert, after blown over the Atlantic, land on Amazon and assist to thrive and nourish. 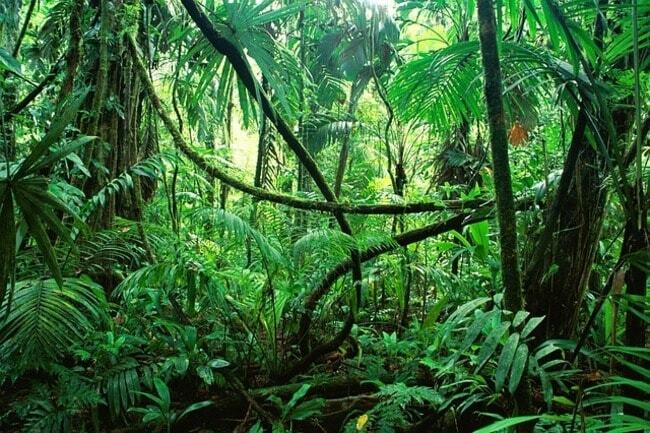 Amazon rainforest is believed to be formed 55 million years ago. About 10% of all species in the world are found in Amazon rainforest. Different 16,000 trees and 40,000 plants species grow in the Amazon rainforest. The Amazon Rainforest is the habitat of about 2.5 million insect species. During rainy season different areas of forest submerged 40 to 60 feet. Deforestation is the major threat to Amazon rainforest, it is estimated that about 20% of the Amazon trees have been cut down in last 40 years. Global warming is quite threating to Amazon rainforest, as per some studies 3 degrees centigrade increase would prove lethal for 75% of the Amazon. Hopefully, you have found "Interesting Amazon Rainforest Facts" informative. stay tuned for more to come.